Turkeys, stuffing, and cranberries are synonymous with Thanksgiving. As the years have passed more has been added on to the holiday week such as Black Friday and Cyber Monday. And while the season has become increasingly more commercial American Express has found a way for people to give back to their community. 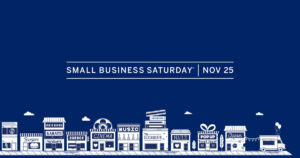 Small Business Saturday started in 2010 when American Express noticed that small businesses were hurting. In an age where many things can be bought online and people go to big name stores to get their products. Small businesses are part of what make the community unique and great. 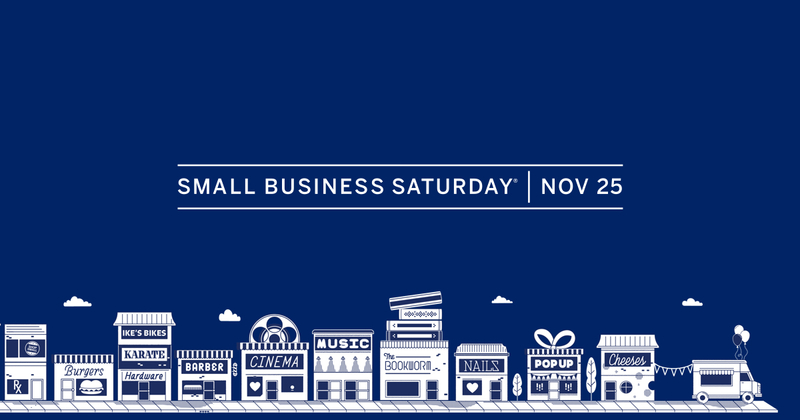 One year after this began the Senate passed a resolution supporting Small Business Saturday and by 2012, officials in all 50 states participate. Now as Christmas is encroaching and trying to take over before Thanksgiving is even over, pay attention to a navy blue sign around your community. The blue sign is around many of the local businesses in Madison and advertising Small Business Saturday. IH Concepts is invested in Small Business in the Madison community as we strive to help owners grow and become a staple that everyone can come in and enjoy. Because of this mission IH Concepts became a member of Dane Buy Local , whose goal is to educate the public about the benefits of thinking local first. One local business that IH Concepts was proud to help was Yola’s Café and Coffee shop by creating engaging digital graphic designs for their new customer’s to check out. Yola’s has been a part of the Madison community by providing delicious meals that remind people of home cooking. Other Small Businesses that have been engrained into the Madison community are REI , MadCat , and Orange Tree Imports which celebrated its 42nd year open this year. Part of why IHC and many people love Small Businesses is their uniqueness and their relationship with customers. As small business ourselves we value the hard work and the long hours that gives Madison it’s unique character. By shopping at a small business, customers are more likely able to talk with owners and get results on any problems they may have with a product quicker. Small businesses thrive on being friendly and welcoming to all customer’s to create a loyal customer base while selling great products. But with larger chains, they sometimes struggle to stay open. While Black Friday is great for stores like Walmart and Best Buy, and Amazon rules over Cyber Monday, most small businesses don’t see an increase in sales during either of those days. Small businesses also don’t gain much of a profit by staying open weird and longer hours during those days. In the end they can’t compete with large companies with the slashed prices and find themselves losing out. Their charm comes from their unique items that most can’t find anywhere else and by spending money there, people are able to support their neighbors in the community. When Small Business Saturday was created, it made it easier for people to find their independently owned stores and to contribute towards them. And while they may not have as crazy of deals, most small businesses offer discounts and other prizes to lure in new and existing customers. Small businesses are a general favorite due to the fact that they provide jobs to friends and family, and also understands the value of holidays. Large corporations just care about their bottom line, while small businesses work to meet their bottom line and keep their employees happy. Some people even see them as the backbone of their county. With small businesses they don’t skimp on quality and still offer discounts, just not as large of slashes. A customer will get a nicer quality product and be able to support a small business and keep it open in the community. More people would rather have a mom and pop shop than a brand name store take over again. Shopping will continue to be America’s favorite obsession, with a severe spike during the holiday season. Instead of standing out in lines on a cold Friday morning or sitting at your computer on Monday, head out and support local businesses such as REI, MadCat, Yola’s Café and more this Small Business Saturday.